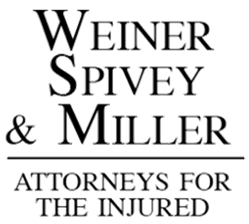 Weiner, Spivey & Miller is a nationally-recognized leader in personal injury law. For more than 35 years, we have been leading advocates for those who have been seriously injured or have lost a loved one due to someone else's negligence. Experienced trial attorneys, Edward L. Weiner, Lawson D. Spivey III and Eugene C. Miller, advocate on behalf of our clients against insurance companies for the rightful compensation our clients deserve. While nothing can take away the pain of a traumatic injury or the loss of a loved one, our skilled team works aggressively to ensure that families receive the rightful compensation for their losses -- helping them to recover and rebuild their lives. WSM's legal team includes award-winning attorneys, skilled paralegals and seasoned medical review consultants. 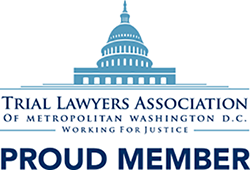 Our proven ability to achieve results has earned us the trust of our clients and the respect of the legal community. While we will negotiate aggressively for settlement, we prepare each case as if it will go to trial. We believe in Alternative Dispute Resolution (ADR) and are skilled in mediation, arbitration and pre-trial negotiation. If we can be of service, please contact us to schedule a consultation. Please contact us for a consultation. We will answer your questions and help you to evaluate your legal options based upon the facts of your case and our extensive knowledge of the law. We would be honored to assist you.